“I don’t want to leave the sport. I want to recover fully, do another 10 surgeries if needed, have all disks replaced with implants, skip a couple of seasons, learn a couple of quads and return to the sport. To be exact, to not return, but to stay. Because it is needed to prove to those who cheep and squeal now,” said 2-time Olympic champion and 4-time medalist 31-year old Evgeni Plushenko on Russian TV in reply to a series of severe critiques of his withdrawal from individual competition in the home country. One of the most vivid opponents Plushenko faces, besides all-respected 3-time Olympic champion Irina Rodnina, is Alexei Yagudin who defeated him in the 2002 Olympics, taking gold to his new coach Tarasova—depriving not only Evgeni but Mishin, the former coach they shared as competitors. 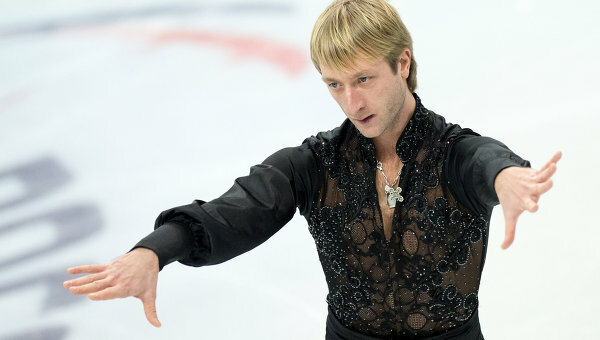 Plushenko, not without assistance of his TV host, confronted another one of his own interviews, this with CNN, during which he said that he was “forced” to skate by the Russian Figure Skating Federation, the host feeding the idea that Plushenko’s bad English caused “misrepresentation.” However just a few days earlier, on February 15, 2014, Evgeni made the same statement as on CNN in a taped interview with HealthyLivinG Magazine. The HL interview was conducted in Russian to avoid translation issues. Read: Evgeni Plushenko Withdrew "I didn't feel my legs after the 2nd triple axel, and almost cried when I had to withdraw"
In addition Yagudin tweeted that Plushenko and his wife called and threatened him, demanding that he cease criticizing the skater’s withdrawal from the competition. Russian TV asserted the call from Plushenko was a prank.